Wharton Club members & their guests are invited to Dinner at National Press Club with the Ambassador, featuring recipes from his cookbook, "Beyond Muesli and Fondue: The Swiss Contribution to Culinary History." The National Press Club's Events and International Correspondents Teams are announcing an evening with Martin Dahinden, ambassador of Switzerland to the United States, on Monday, Sept. 17, at 6:30 p.m. in the Fourth Estate Restaurant. The event, part of the Club's Ambassador Series, will include a Q&A session with Dahinden. 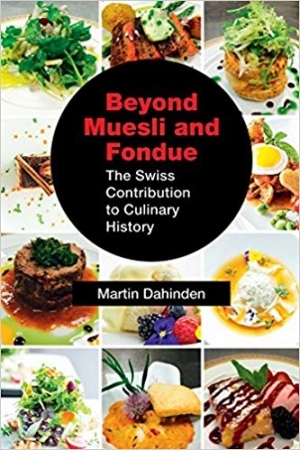 Ambassador Dahinden will discuss his new cookbook, "Beyond Muesli and Fondue: The Swiss Contribution to Culinary History". All dishes to be served are taken from the cookbook, which include historic dishes invented by famous Swiss chefs and hoteliers, but updated for contemporary tastes. Swiss cuisine is rich in anecdotes highlighting Swiss political history and the cultural landscape. Ambassador Dahinden will discuss cuisine as a means of communication, drawing upon his research and personal experiences as a diplomat. Ambassador Dahinden is also the author of the German-language volume, "Swiss Kitchen Secrets: Faces and Stories Behind Famous Dishes." The cocktail reception will run from 6:30-7:00, followed by a short address by Ambassador Dahinden. A question and answer period will occur after the main course is served. Dessert and a closing cocktail, also from the cookbook, will cap the evening. Copies of the cookbook will be available for purchase. Martin Dahinden was appointed by the Swiss government as the ambassador of Switzerland to the United States on Oct. 6, 2015. Prior to that, he served as director of the Swiss Agency for Development and Cooperation (SDC) from 2008 to 2014 and headed the Directorate of Corporate Management of the Federal Department of Foreign Affairs (FDFA) from 2004 to 2008. During his long career in the Swiss diplomatic service, Ambassador Dahinden has served as director of the Geneva International Centre for Humanitarian Demining, as a member of the Swiss Delegation to GATT (General Agreement on Tariffs and Trade), at the Embassy of Switzerland in Paris, as deputy to the Swiss ambassador in Nigeria and in a temporary posting at the Swiss Mission to the United Nations in New York. In addition, he worked in the FDFA's Service for Disarmament Policy and Nuclear Issues, as head of the Organization for Security and Co-operation in Europe (OSCE) Service of the Directorate of Political Affairs, and he held the position of deputy head of the OSCE Coordination Unit during the Swiss chairmanship of the OSCE in 1996. The following year, he was sent abroad as deputy head of the Swiss Mission to NATO in Brussels. 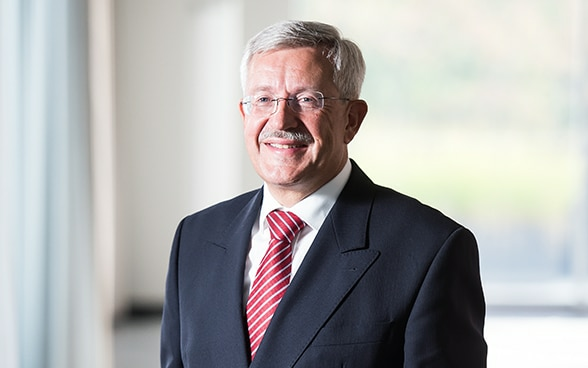 Ambassador Dahinden was born in Zurich in 1955. He earned a Ph.D. in economics (business administration) from the University of Zurich. Before joining the diplomatic service, he worked as a postgraduate assistant at the university and was then employed by a bank and a publishing house. Ambassador Dahinden is married to Anita Dahinden and they have two children, Robert and Andrea. President's Club & Lifetime Members: Two complimentary places each, subject to availability. Other Members: $25/person for current Wharton Club members and their guests only. Click here to reserve your seat(s) for this event.